You don’t have to simply settle for teeth that are injured, hurting, or even missing altogether. Instead, trust in the time-tested expertise of Dr. Gonzalez and our staff here in San Antonio! We offer several restorative services that are designed to reinvigorate natural teeth and bring back their full potential, whether you’re experiencing something simple like a cavity or a severe situation like tooth loss. Contact San Pedro Smiles today to schedule your first appointment or if you have any questions. It is never too late to regain the full and functional smile you deserve! 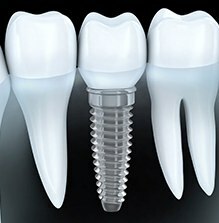 When it comes to replacing missing teeth, dental implants are the clear frontrunner in terms of longevity, durability, and attractiveness. In fact, this reconstructive option is the only one that actually rebuilds the ENTIRE tooth instead of just the white crown that shows in your smile, which improves long-term oral health as well. Dr. Gonzalez can both place and restore implants right here in our San Antonio office for maximum patient convenience and truly outstanding results. 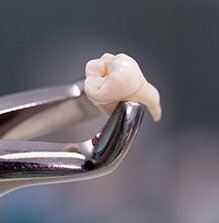 Dental crowns and bridges are strong and attractive restorations that our team uses to rebuild teeth that either aren’t at their best or have been lost altogether. Dr. Gonzalez will always take the time to ensure that your new smile addition feels great in your mouth, looks nice next to your natural teeth, and is built to last for several years to come. 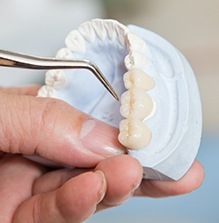 Traditionally, patients expect their cavities to be treated with simple amalgam fillings, leaving a noticeable dark spot on their natural tooth. Thankfully, tooth-colored fillings have helped transform this process for the better! Our team now uses composite resin, which comes in a rainbow of different tooth-colored shades that can be closely matched to your natural enamel. The flexible nature of this material allows us to create smaller fillings that preserve more of your natural tooth, and the lack of metals makes them less sensitive to changes in temperature as well. Have you lost several natural teeth or even an entire arch? You don’t have to settle for an incomplete smile that makes it hard for you to eat your favorite foods, speak clearly with friends, and enjoy the other simple joys in life. Instead, talk to our team about having a new, customized denture created! These prosthetics are wonderfully modern, comfortable, and affordable. Many patients are ready to run for the hills the second they hear the words “root canal,” but the scary rumors you’ve heard about this treatment simply aren’t true. 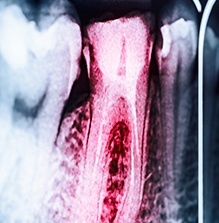 In fact, root canal therapy is a highly effective and successful procedure that can help patients maintain their natural, strong teeth instead of losing them to advanced infection. Here in San Antonio, our team makes every effort to help patients maintain a full, healthy smile for life. Unfortunately, there are certain situations where an extraction may become a necessity in order to protect your oral health and overall wellbeing. For example, a patient may be experiencing an advanced tooth infection that can’t be treated through normal restorative means, or they’ve suffered a serious facial injury. Your child may even need a little extra help with the removal of a baby tooth in order to make way for the adult version. 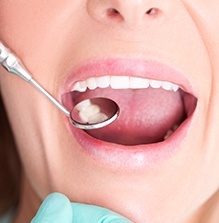 No matter what the reason may be, rest assured that our team will handle the procedure smoothly and comfortably.